Purchasing a new heater is a big decision. You want to make sure you’re getting the right heater for your home. You want a system that will heat the house efficiently and provide you with years of comfort. That’s why the experts at ADA Heating and Air are available to answer questions you have and guide you in the selection process. We will make sure you end up with the right system that fits your home and your unique heating needs. At ADA, we have experience working on most major heating brands. We do full heating designs and installations, including installing HVAC systems in new construction homes. Our Comfort Assurance Program provides regular routine maintenance on your heating system. We also do repairs and emergency repairs whether we installed the system or routinely do maintenance or not. If you need a professional HVAC company for annual maintenance or repairs, we would be happy to serve you. We work with all types of heating systems. If you need a new heating solution, we offer Westinghouse and American Standards heating and air conditioning products, both of which come with an incredible 10-year warranty. Your unique needs and your home will determine which heating system is right for you. 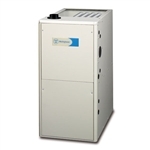 For some customers a gas furnace makes the most sense and for others a heat pump will work best. We offer all these products and our expert installers and techs can get them installed safely and efficiently. You can rest assured they are experienced and capable. When the job is done, your heating system will perform exactly like you expect it to. When you are making the decision to purchase a new heating unit, you will hear many terms, statistics and important information about each product. Keep in mind certain terms and ratings sound good but may not be the best solution for your heating needs. Take the AFUE rating for instance. Just because a heating unit has a higher AFUE doesn’t necessarily make it a better choice. Higher AFUE rated furnaces come with a higher price tag. Often the way you use your furnace will determine if the higher AFUE is worth the extra cost in the long run. When you come to ADA Heating and Air, we can help you make an educated decision. We will be happy to explain the different options that will work for you. We will also help you evaluate each system so that you can purchase the best option for you and your family. Call ADA Heating and Air today. We look forward to helping you and your family with all your heating needs.